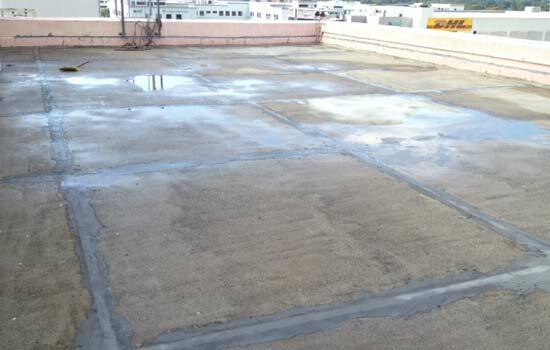 Why Waterproofing of RC roof ? 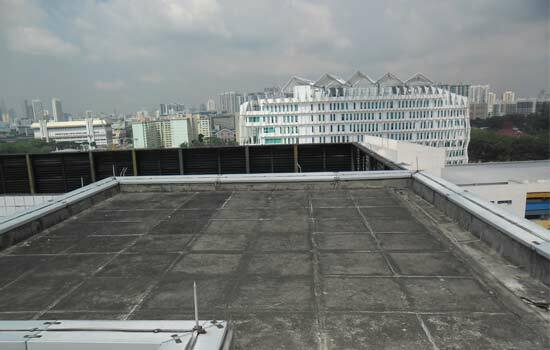 Most roofs in Singapore are constructed using reinforced concrete (RC) which is know to have pores and capillary tracts. These pores are interconnected within the concrete and water will penetrate through such capillary tracts aided by osmotic effect. Therefore, waterproofing is required to keep the roof water-tight since they are exposed to the weather. The waterproofing membrane is considered to be the most important component of the roofing system as it serves the main function of keeping water out of the building. 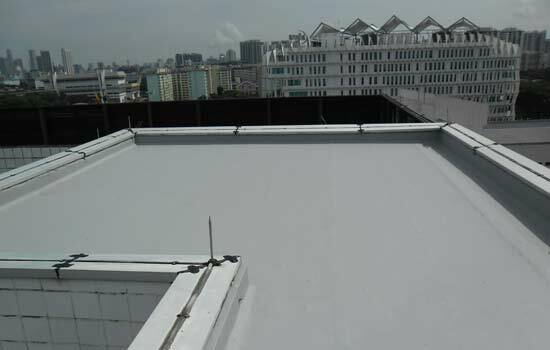 5 Layer flexible acrylic waterproofing system consists of fiberglass mat is a water based elastomeric waterproofing membrane for exterior surfaces. It is specially formulated to absorb considerable substrate movement and to bridge developing cracks. It can be applied to substrate such as concrete, render, aluminum, steel, cement sheet, masonry, brick, wood, etc. Ideal for use to waterproof external façade, RC roof, etc. Torch on waterproofing membrane system, are quality sheet membranes designed to meet the needs in tanking and roofing applications. Torch on membranes are APP elastoplasticomeric type modified bitumen membranes formulated with meticulously selected raw materials conceived to ensure compatibility and homogeneity. 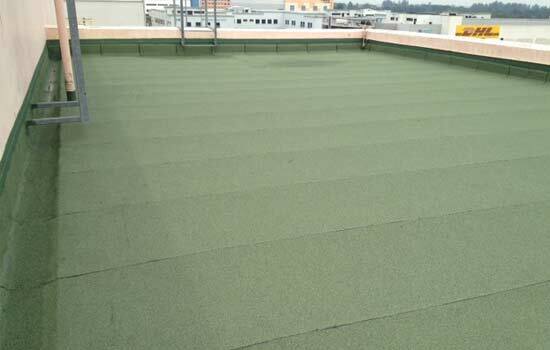 The result is the provision of reinforced polymer bitumen membranes of superior quality,which will satisfy every specific necessary of waterproofing. Ideal for use to waterproof RC roof, car porch, etc.